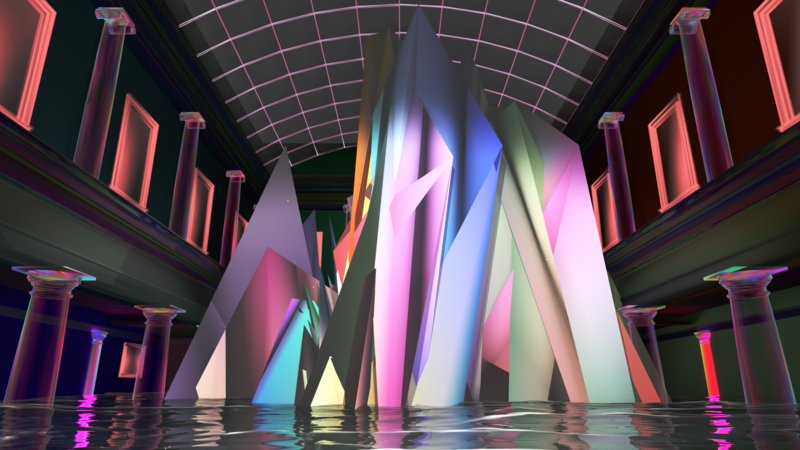 Classical sculptures in the museum participate in a destructive performance triggered by software glitches, distortions, and misused simulation, turning the space into a madhouse theater with both classical beauty and digital chaos. Hu connects the sense of space, history, turmoil, and transformation to the idea of technological sublime. Breaking the link between advanced graphics technology and high-end cinema production, the disparity between classical art and the contemporary digital aesthetics is emphasized.